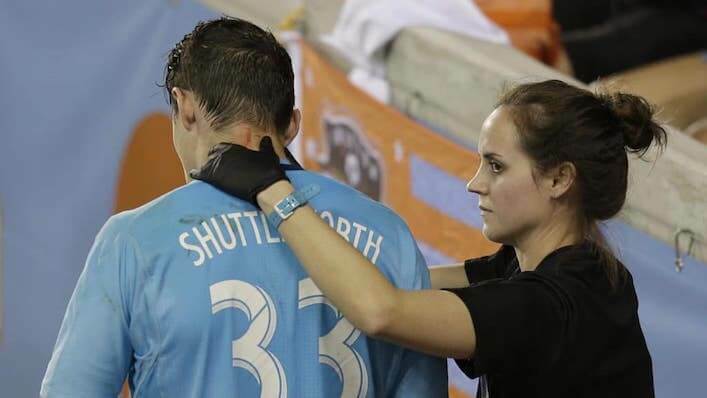 A native of Fairfield, California, Stacey Hardin joined Minnesota United as part of the medical staff for their inaugural season in Major League Soccer in 2017. She is responsible for coordinating and overseeing the delivery of medical care for all teams in the Minnesota United Organization. Additionally, she serves as the Director of Sports Medicine and Rehabilitation, Head Athletic Trainer for the first team. In this show, Stacey and I talk about what a typical day looks like for her with Minnesota United Football Club, what “purposeful collaboration” is and why it’s so important in elite athletics, and her thoughts on a really important topic – how we get more women working in pro sports. Stacey absolutely crushes this interview, and she was an absolute blast to talk to – I think you’re going to love it. Long weekend coming up – ENJOY YOURSELF! How Stacey got her start in the world of physical preparation. What a “typical day” looks like for a head AT in professional soccer. How they delineate the various roles and responsibilities amongst the staff members at Minnesota United FC. Stacey’s first thoughts and instincts when talking to a player who suffers a major injury during a practice or game. How she coordinates with her S&C team to get an athlete back to 100%. Her advice for someone who wants to be an AT, as well as for someone who wants to work in professional sports. A really fun lightning round where I get all Stacey’s dirty secrets! But also featuring her career highlight, the books she’s reading right now, and how we get more women working in pro sports.